The countdown is on as the Excelsior students leave for Ecuador TOMORROW! The final trip plans are in place: the flights are booked, the bags are nearly packed, and the passports are crisp and ready to be stamped. The students are finishing up classes, and even took Regents exams this last week as the school year comes to a close! To say they have been busy is an understatement. Aside from volunteering at Casa Victoria, the students have a couple of day trips and excursions that they are looking forward to! Below are just a couple of the highlights of their itinerary. Working with Casa Victoria Youth: After the Excelsior students help set up the new learning center at Casa Victoria they will work with local youth to teach them basic robotics & coding using the donated robots they are bringing with them! Museums and Artists: Students will get to see more of Quito, with a ride up the teleferico, where students will get birds-eye view of the city from the top of Pinchincha Mountain. 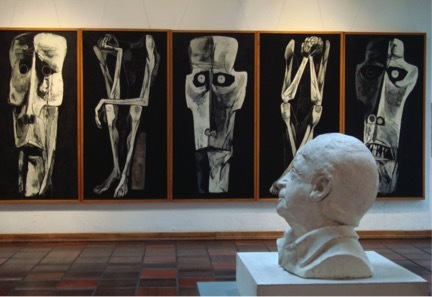 Afterwards, they will head to Museum Guayasamin and learn about Osvaldo Guayasimin, the world-renowned artist and activist for human rights. 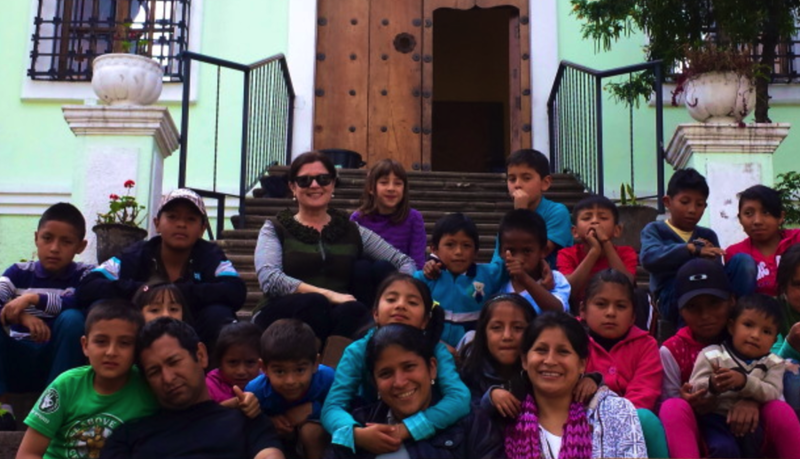 Visit to San Isidro: Once again heading outside of Quito, the Excelsior students will visit an indigenous village and work with local youth to learn about life there, and will donate some school supplies and toys. From there, they will spend an overnight in San Isidro. 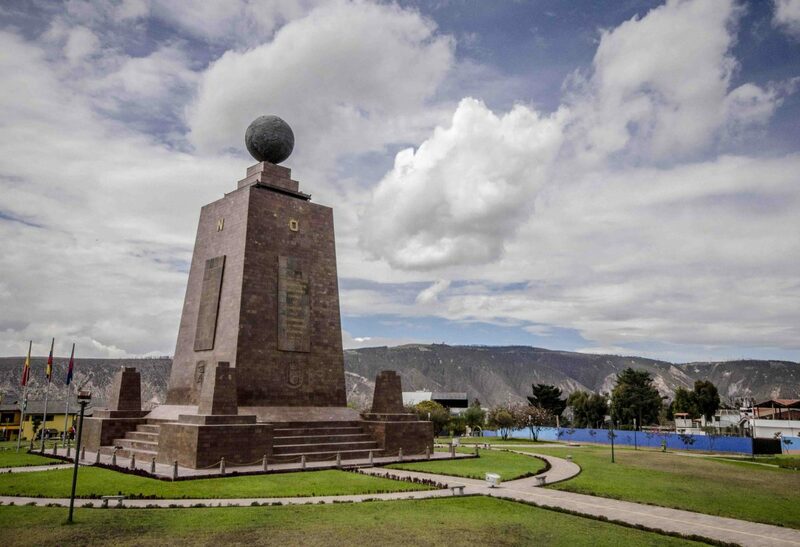 Trip to La Mitad Del Mundo: The students will head out of Quito to explore the science of the Equator, learn about indigenous peoples of Ecuador at museum, and will even get to their passports stamped at Equator! We are super proud to partner with World Nomads, who has graciously donated all the travel insurance coverage for our programs since FLYTE began sending students abroad. They are an incredible company, and have been the trusted insurance provider for Nomadic Matt for all his travels since he started hitting the road in 2003. They have great customer service, competitive prices, and in-depth coverage. Lonely Planet and National Geographic also recommend world Nomads, so you know they are good! If you yourself are planning a trip- DO NOT LEAVE HOME WITHOUT TRAVEL INSURANCE. It is the one investment that you will want to make sure you have before jet setting. A day after their school year finishes they will be hopping on a plane and heading off on an epic adventure in Quito. We want to invite you every day to follow along on their travels via our Facebook and Instagram accounts! The students will also be doing a Facebook Live on Nomadic Matt’s page! None of the above would have been remotely possible without the support of all of our amazing donors. These donations made the trip a reality for the students of Excelsior. It created an opportunity not only for students from Newburgh, but also for the youth that call Casa Victoria a second home. We are so grateful to all of the people that made this trip possible! We are still trying to raise the final funds for the program, and are so close to our goal! Less than $5,000 away! If you forwarded this to 3 friends, who each gave only $10, the trip would reach our fundraising goal. Please consider forwarding our cause on to 3 friends who, for less than the cost of a meal at Chipotle, could help us fully fund the remainder of the trip!